Friday 6th of April 2018 and I had have my breakfast coming back from the Yeti Airlines flight YT 302, Everest Express and I had enjoyed the sight of Mount Everest. 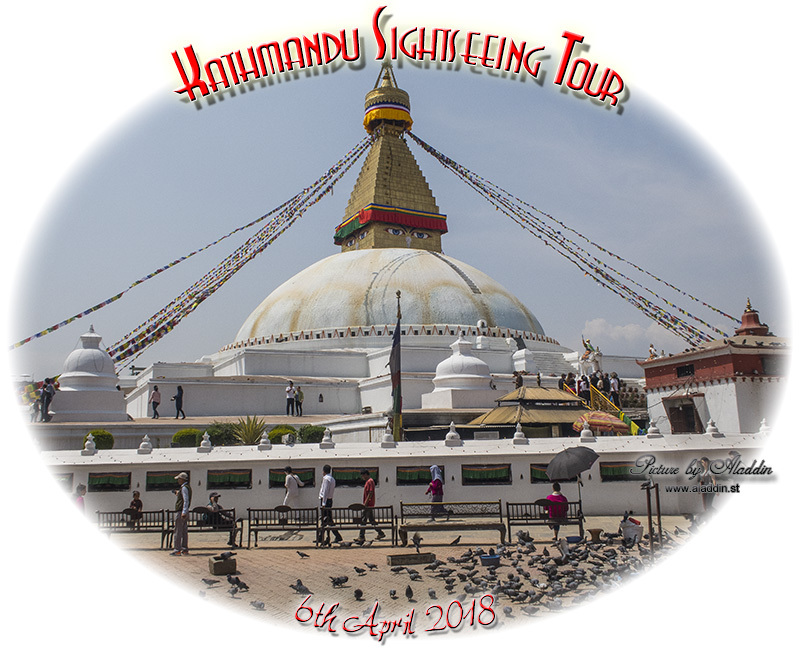 The Guide told me that we would start to visit the Swayambhunath - the ”Monkey Temple” which is one of the oldest shrines in the world, established more that 2500 years ago. 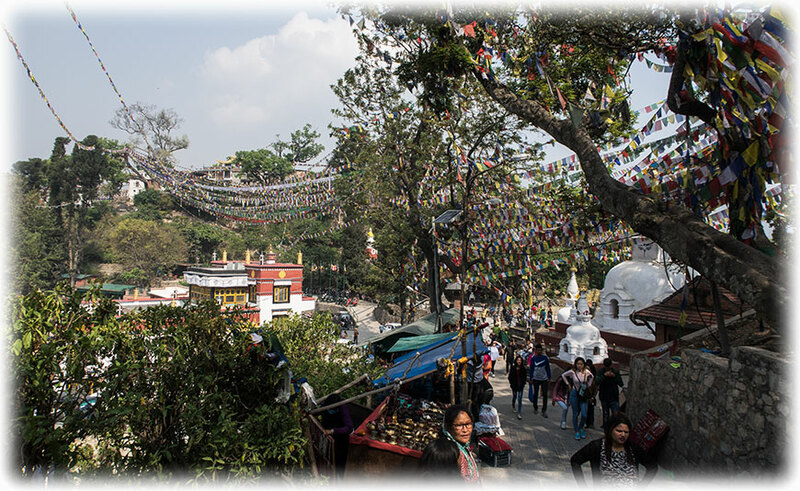 Perched on a hilltop where the legendary Manjushri discovered the lotus growing in the ancient Kathmandu Valley Lake, Swayambhunath commands a superb view of the city below and beyond. The four sides of this ancient structure are painted with the compassionate eyes of the Buddha. also known as Wisdom Eyes. 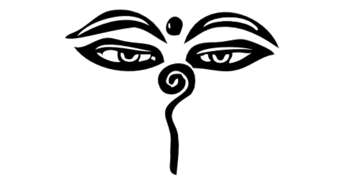 Between the eyes is a mystical third eye symbolizing true wisdom and where the nose would be is a curly symbol that looks like question mark. This is the Nepali character for the number 1, which symbolizes unity of all the things as well as the one way to reach enlightenment—through the Buddha's teachings. I told him that I was really only interested in seeing the stupa with the eyes that I had seen when I was here 25 years ago. He gave me a long list of things that we would see today. 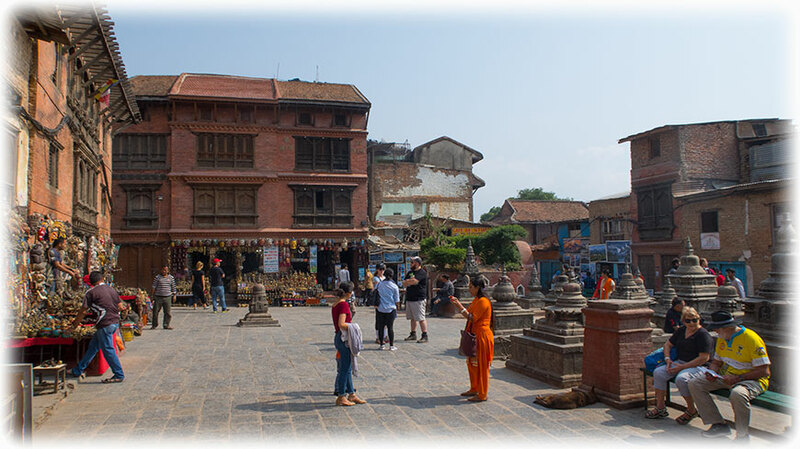 So we were down to the Swayambhunath - the ”Monkey Temple” and to look for the stupa with the Buddha Eyes and then off to Bhaktapur. 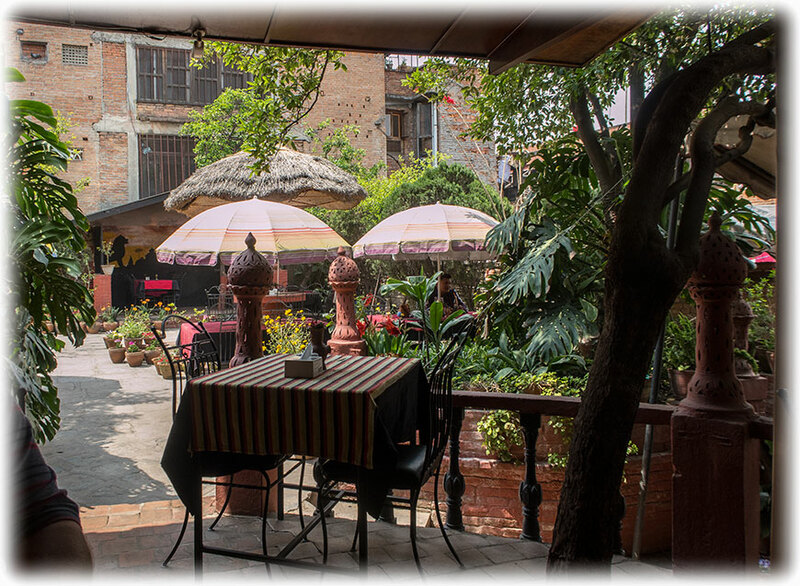 Then I can have the day off tomorrow as this Kathmandu Sightseeing Tour should have lasted for one and a half day. 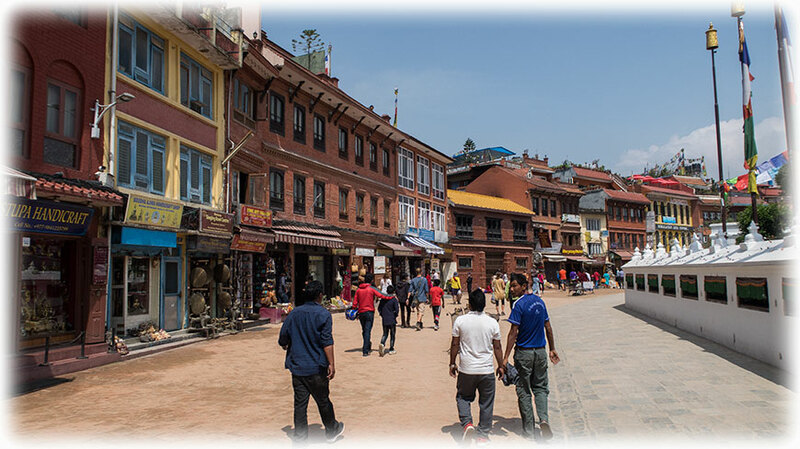 We left Hotel Yak and Yeti and we had decided to start at the Swayambhunath - the ”Monkey Temple” and from there we will drive to Bhaktapur looking for the stupa with the eyes on the way to Bhaktapur. 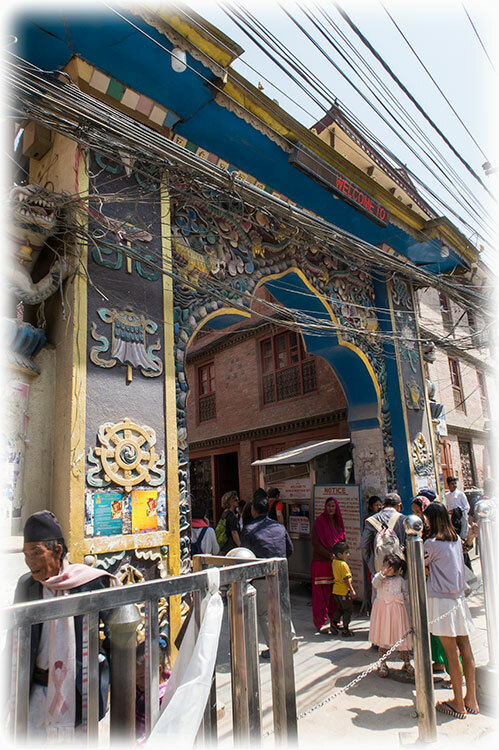 When we came, well, already when we approached the Swayambhunath - the Monkey Temple I could see the prayer flags. 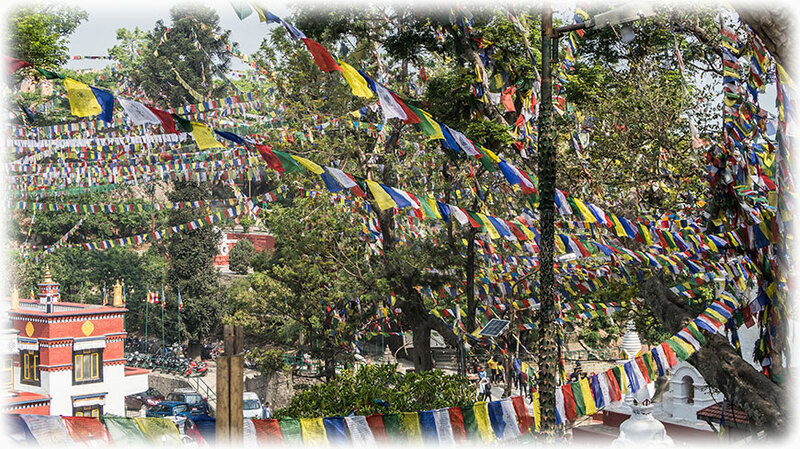 You see them all over Nepal, but here you could hardly see the sky because all of the flags. We got out of the car, me and my Guide, the Driver stayed behind. 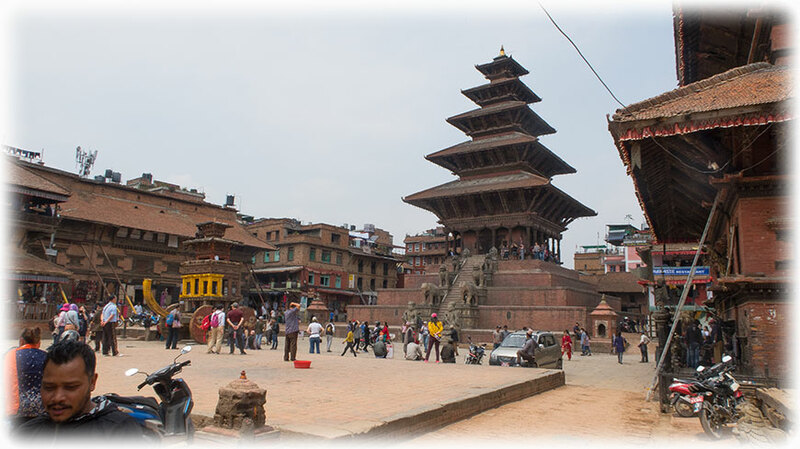 We walked up the stairs and when we came up there was a stupa and something that looked like an old town square. And yes, they were selling souvenirs in all the shops. Pretty much the same souvenirs in all the shops. 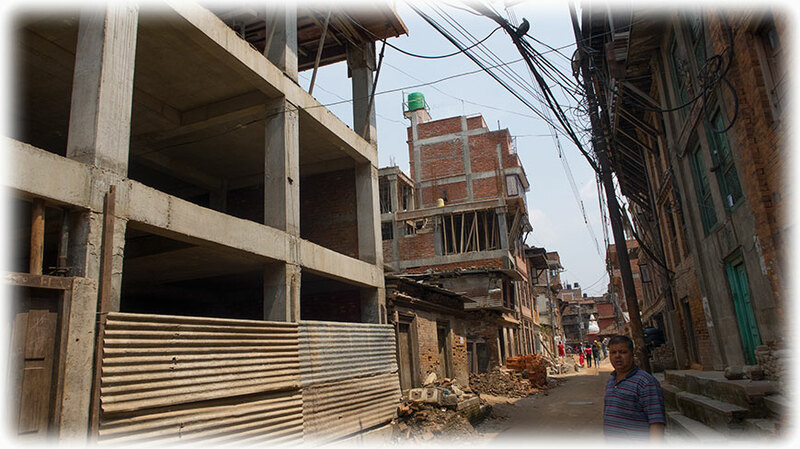 But as they had have a terrible earthquake here back in 2015 so there was a whole lot of construction work going on as well. 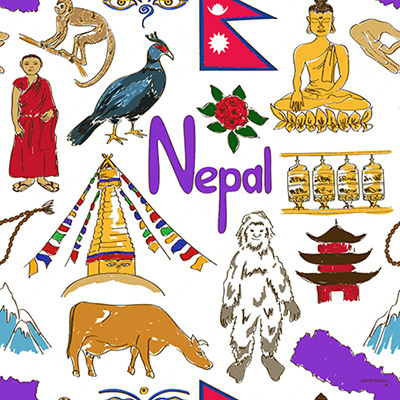 is a colourful rectangular cloth, often found strung along mountain ridges and peaks high in the Himalayas. They are used to bless the surrounding countryside and for other purposes. 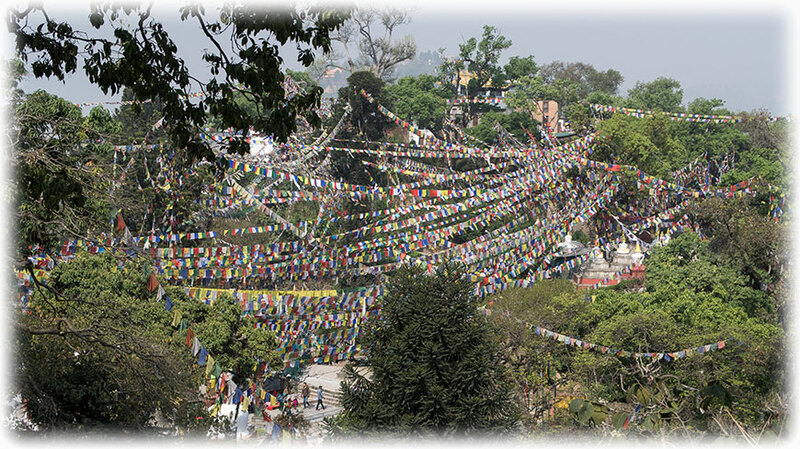 Prayer flags are believed to have originated with Bon. In Bon, shamanistic Bonpo used primary-colored plain flags in Tibet. Traditional prayer flags include woodblock-printed text and images. 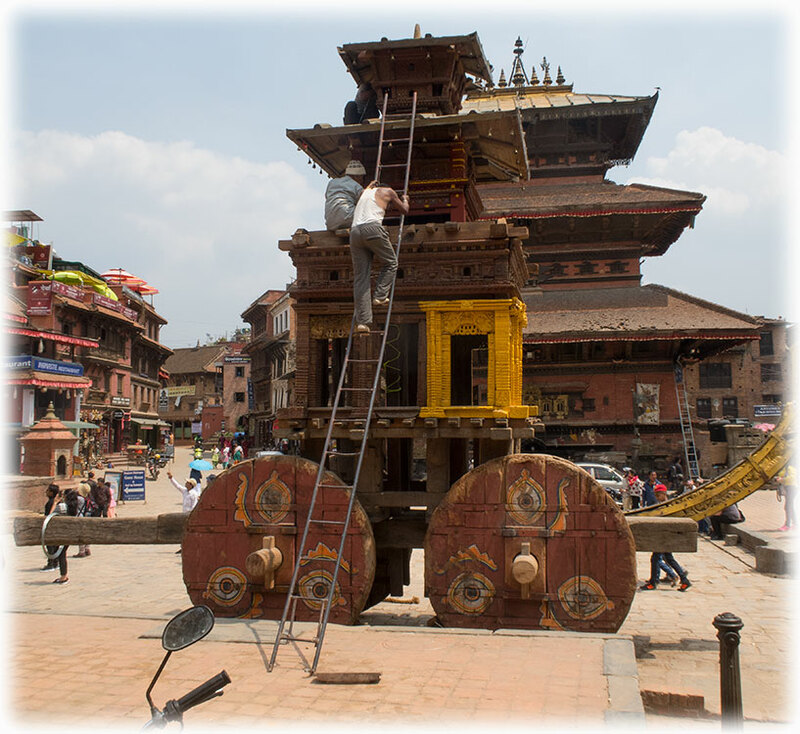 Nepal Sutras, originally written on cloth banners, were transmitted to other regions of the world as prayer flags. 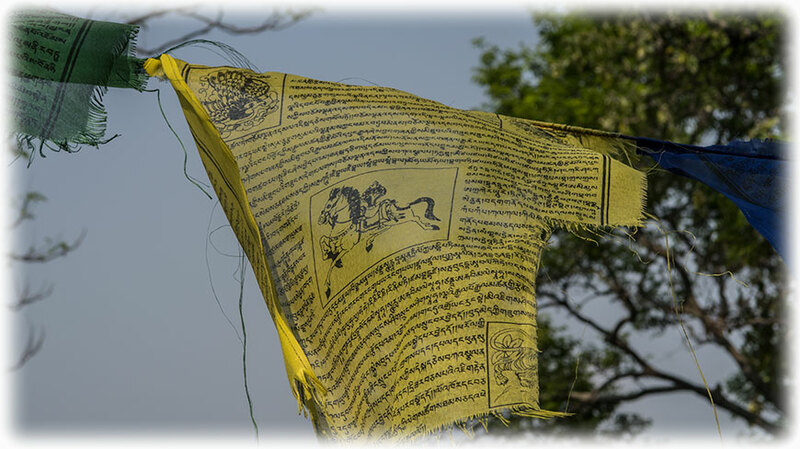 Legend ascribes the origin of the prayer flag to the Gautama Buddha, whose prayers were written on battle flags used by the devas against their adversaries, the asuras. The legend may have given the Indian bhikku a reason for carrying the heavenly banner as a way of signifying his commitment to ahimsa. This knowledge was carried into Tibet by 800 CE, and the actual flags were introduced no later than 1040 CE, where they were further modified. The Indian monk Atisha (980 – 1054 CE) introduced the Indian practice of printing on cloth prayer flags to Tibet and Nepal. During the Cultural Revolution, prayer flags were discouraged but not entirely eliminated. Many traditional designs may have been lost. Currently, different styles of prayer flags can be seen all across the Tibetan region. 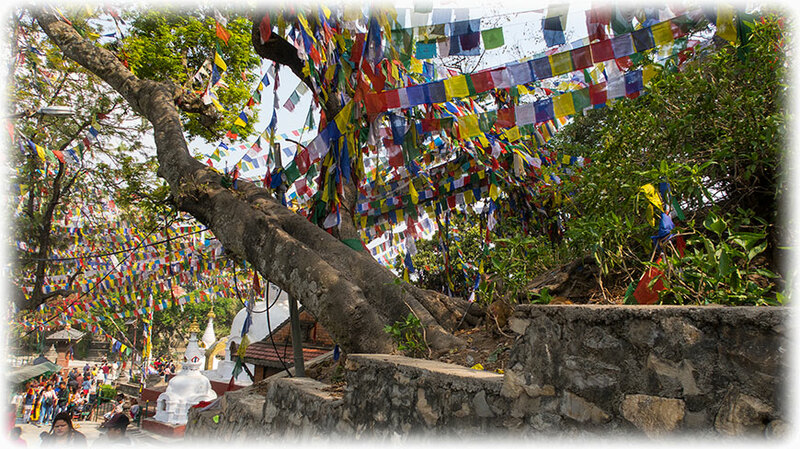 Traditionally, prayer flags come in sets of five: one in each of five colours. The five colours are arranged from left to right in a specific order: blue, white, red, green, and yellow. The five colours represent the five elements and the Five Pure Lights. Different elements are associated with different colours for specific traditions, purposes and sadhana. Blue symbolizes the sky and space, white symbolizes the air and wind, red symbolizes fire, green symbolizes water, and yellow symbolizes earth. According to Traditional Tibetan medicine, health and harmony are produced through the balance of the five elements. (Sanskrit: "heap") is a mound-like or hemispherical structure containing relics (śarīra - typically the remains of Buddhist monks or nuns) that is used as a place of meditation. 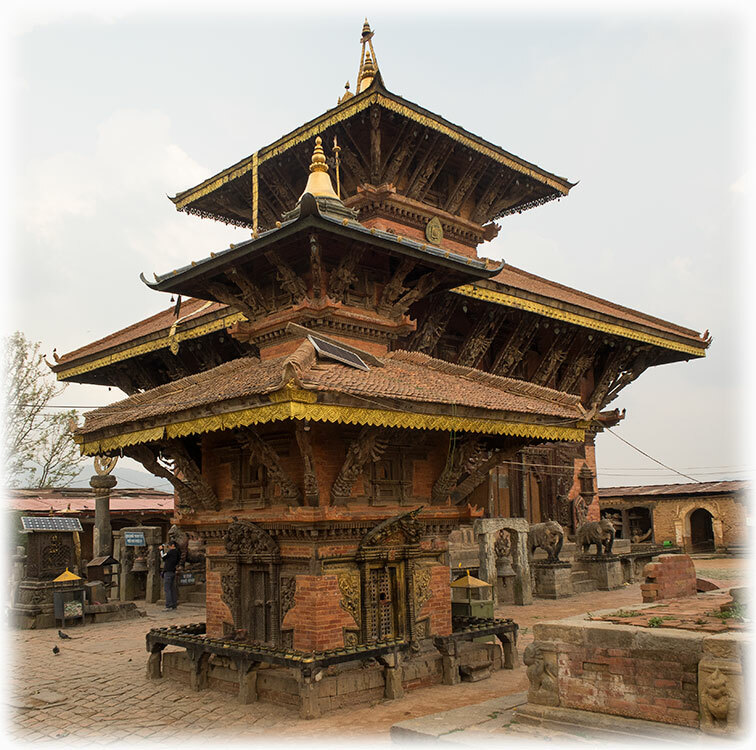 A related architectural term is a chaitya, which is a prayer hall or temple containing a stupa. 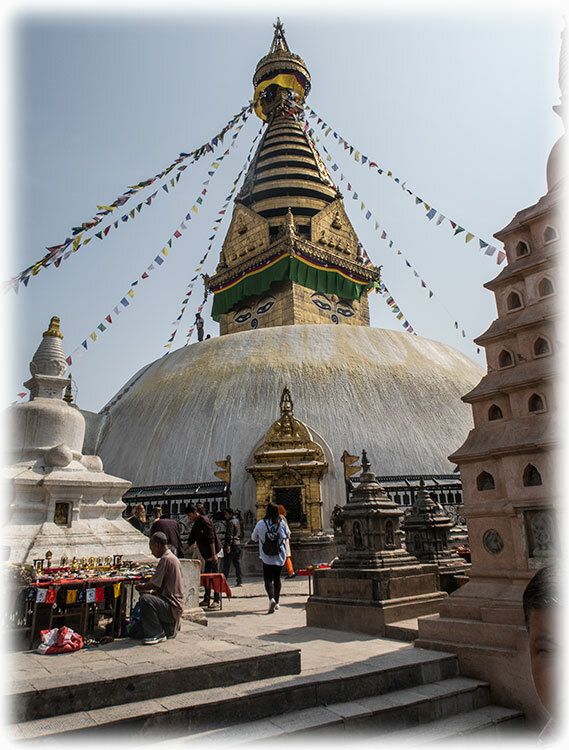 • Relic stupa, in which the relics or remains of the Buddha, his disciples, and lay saints are interred. • Object stupa, in which the items interred are objects belonged to the Buddha or his disciples, such as a begging bowl or robe, or important Buddhist scriptures. 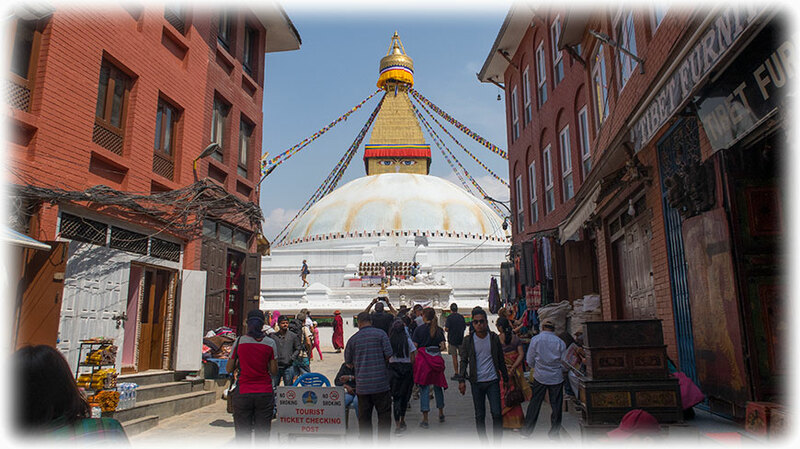 • Commemorative stupa, built to commemorate events in the lives of Buddha or his disciples. 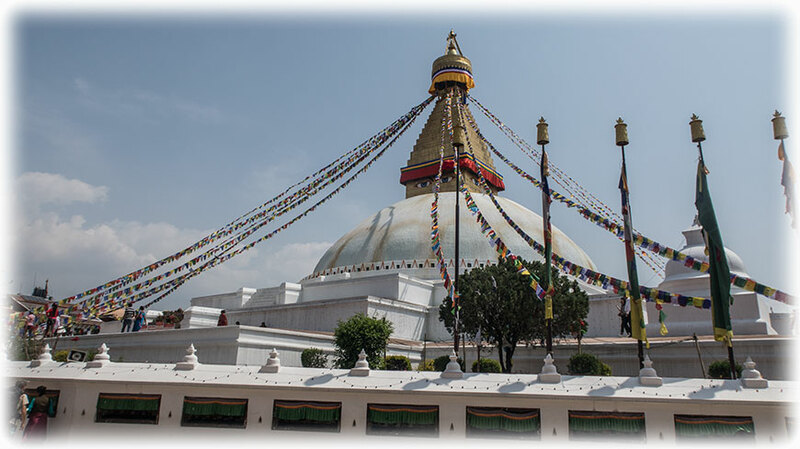 • Votive stupa, constructed to commemorate visits or to gain spiritual benefits, usually at the site of prominent stupas which are regularly visited. 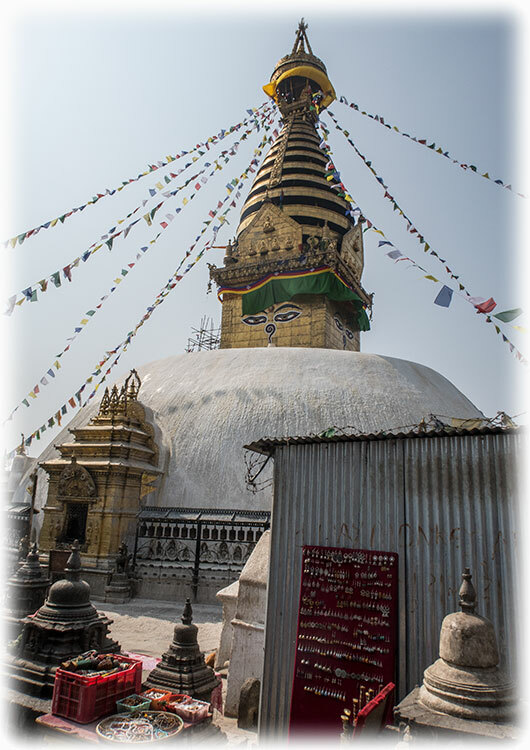 The stupa at the Monkey Temple consists of a dome at the base, above which is a cubical structure painted with eyes of Buddha looking in all four directions. There are pentagonal Toran present above each of the four sides with statues engraved in them. Behind and above the Torana there are thirteen tiers. Above all the tiers there is a small space above which the Gajur is present. The stupa has many artifacts inside it. We had stayed at the temple for 30 minutes or so, my Guide wanted to show me around, but I told him that I had seen enough. I mean, how many souvenirs is it possible to see and still enjoy it. I had seen the stupa, what I was interested in. And if I look at it for 5 minutes, well, should be enough. I could have stayed for 2 hours, but I guess it would be kind of boring. 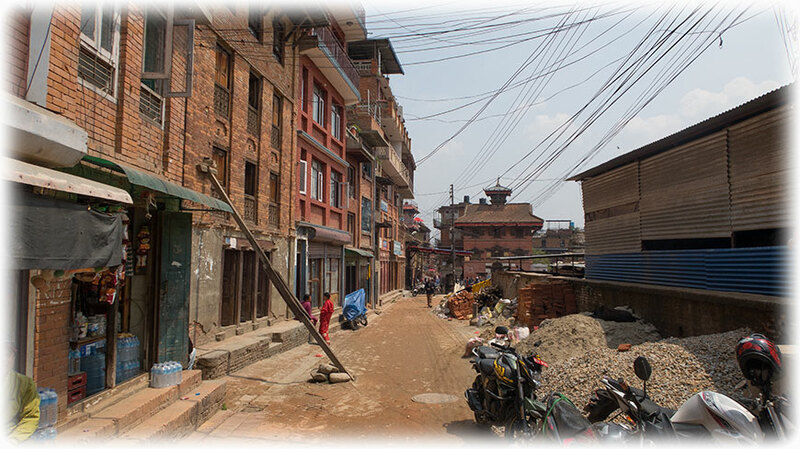 Now I wanted to go look for the stupa in the city. 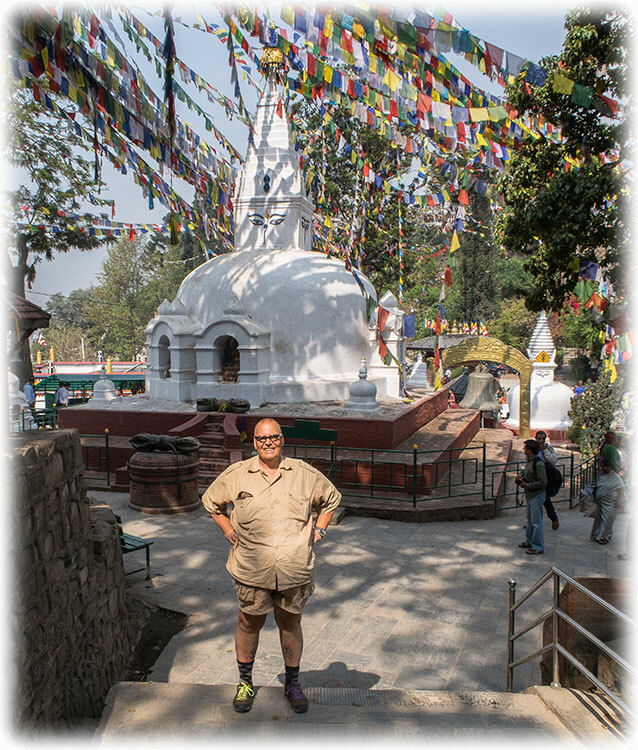 My Guide told me that there were stupas everywhere in Kathmandu. I told him that I had seen a huge one from the airplane. 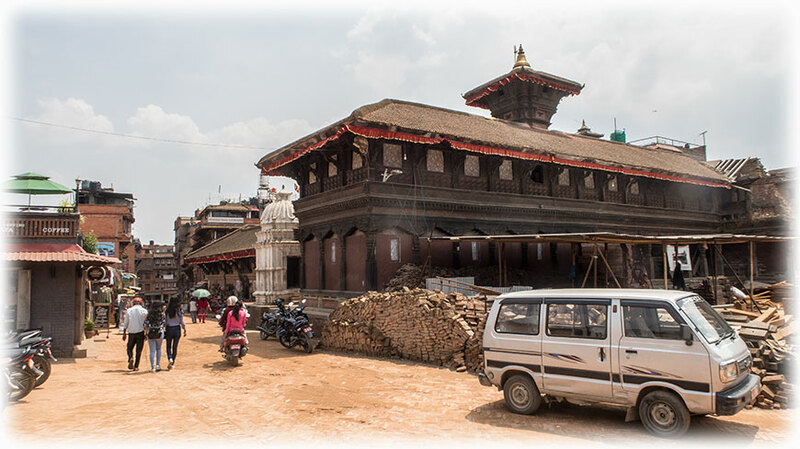 So we left the Monkey Temple and we drove through Kathmandu. 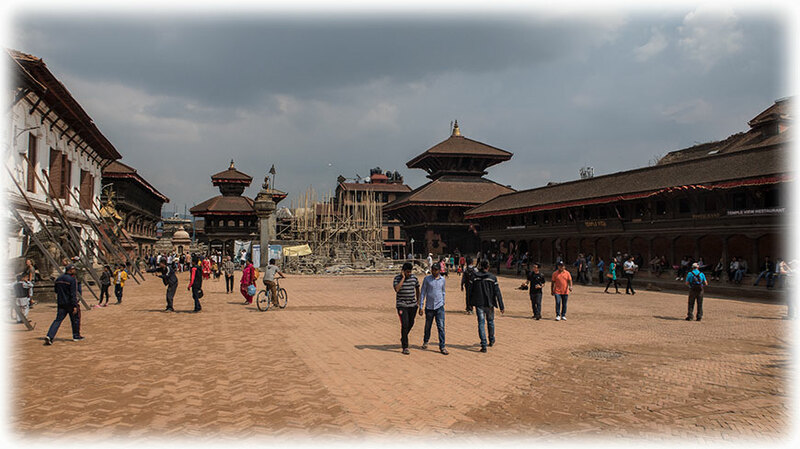 My Guide told me that most of it was rebuilt and the houses were all new in the area around the stupa as they had been destroyed in the earthquake 2015. We stopped outside something that looked like a gate. Me and my Guide got out of the car and the Driver took the car to a parking place. 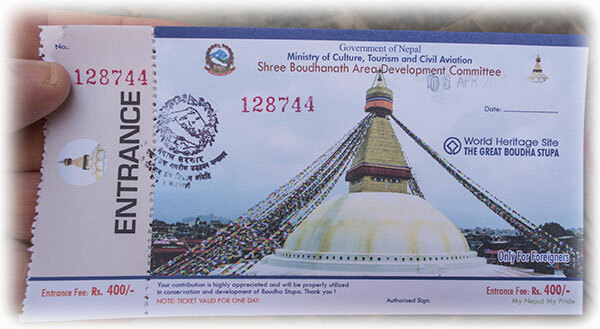 We entered the place, and it was the Boudhanath Stupa which I found out looking at the ticket. It was not on my itinerary. 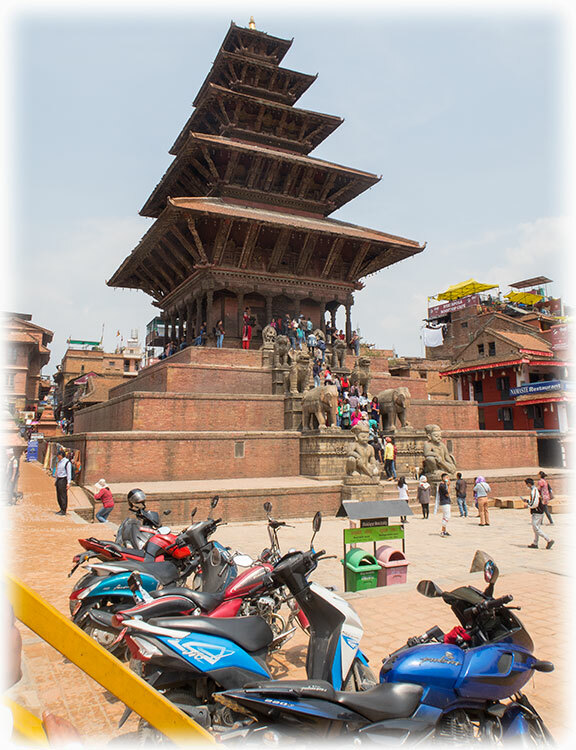 I tell my Guide to wait for me at the gate, I would just have a quick walk around the stupa and we could leave again. 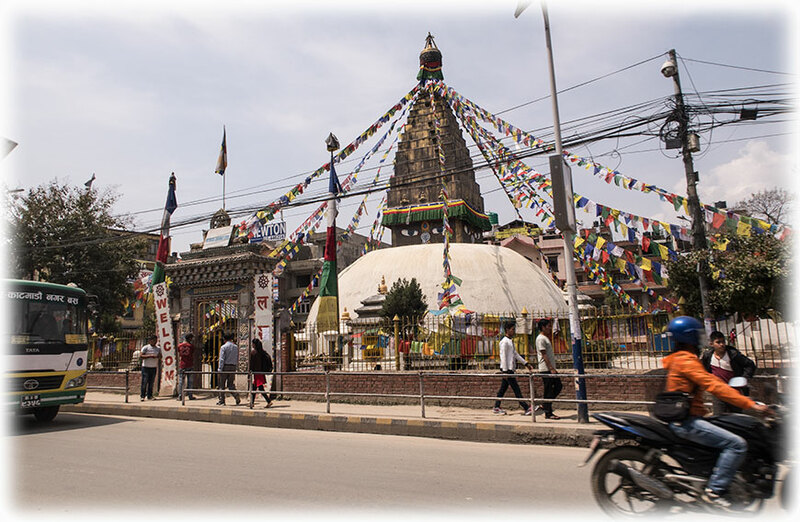 I turned left after the gate and I walked clockwise around the stupa. And I learned something new about lolling around a stupa. I walked around the stupa and I think they call it the Pradakshina path. Parikrama or Pradakshina refers to circumambulation of sacred places in Hindu, Jain or Buddhist context, and the path along which this is performed. 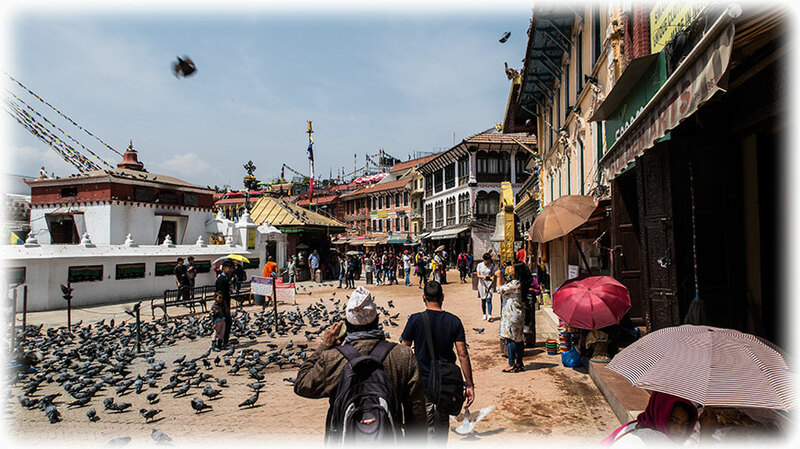 Parikrama means "the path surrounding something" in Sanskrit, and is also known as Pradakshina (“to the right”), representing circumambulation. Both words are mostly used in the context of religious deities in a temple, sacred rivers, sacred hills and a close cluster of temples, and "doing a parikrama" as a symbol of prayer is an integral part of Hindu worship. In Hinduism and other Indian religions, the Parikrama inside temples or sacred sites is traditionally clockwise. Circumbulatory or pathway around the shrine of the temples by keeping time is a common form of prayer in India. It includes Narmada, Shetrunjaya, Girnar. This pathway made of stone around the shrine is called Pradakshina path. 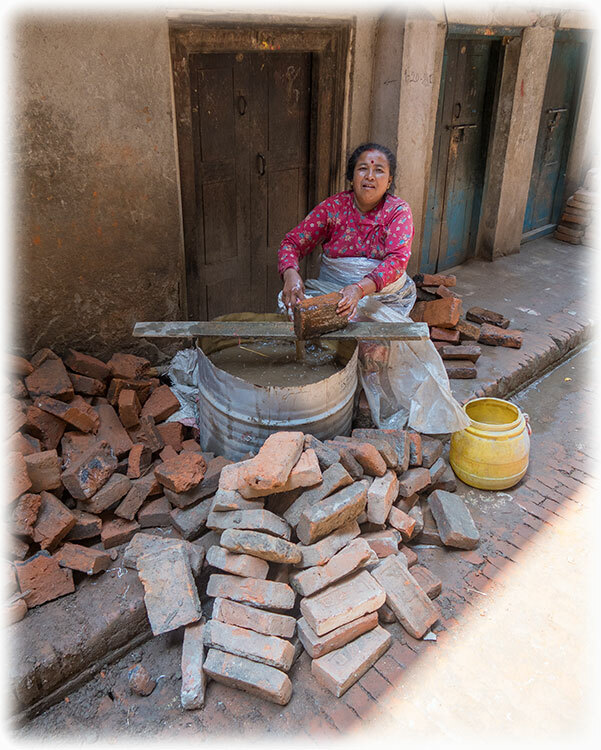 In Buddhism circumambulation or pradakhshina has been an important ritual since early times. 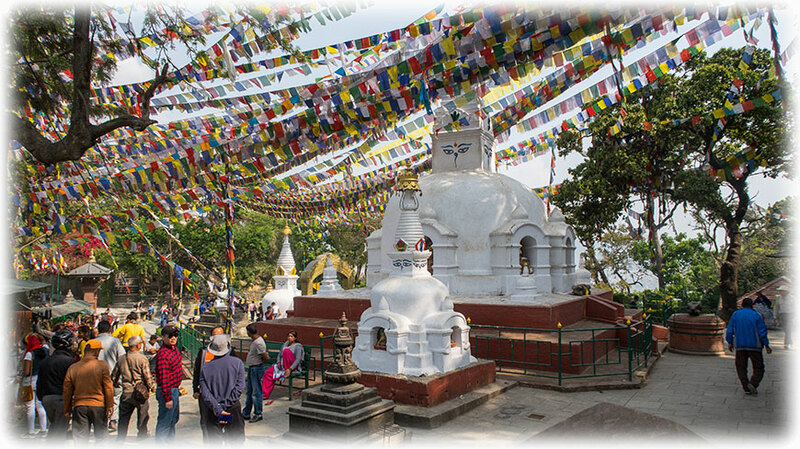 Sacred structures such as stupa or images have a pradakhshina path around them. The chaitya is a distinct ancient type of building that only survives in Indian rock-cut architecture, a hall with a stupa at the far end, always built with a rounded apse-like end, to allow pradakhshina. 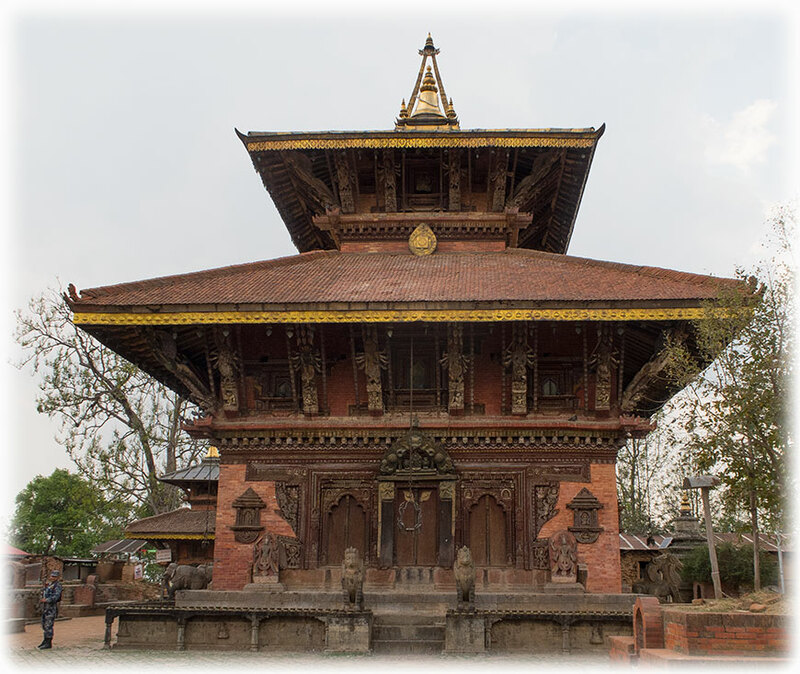 A mandapa (prayer hall), added in the front transforms the original stupa into the stupa shrine — as a sacred entity which requires a circumambulatory path around it for the purpose of worship. The whole structure is planned in such a way that it becomes the centre of the mandala and symbolically represents Mount Meru. Buddhist faithful may perform pradakhshina by prostrating themselves at every step, thus greatly prolonging the process. The most extreme pradakhshina is that of the sacred Mount Kailash in Tibet, a mountain trek some 52 km long, at altitudes between 4,600 m and 5,500 m. This may also be undertaken by Hindus and Jains, and some pilgrims progress by prostration, taking some weeks. Have you ever seen anyone progress by prostration? 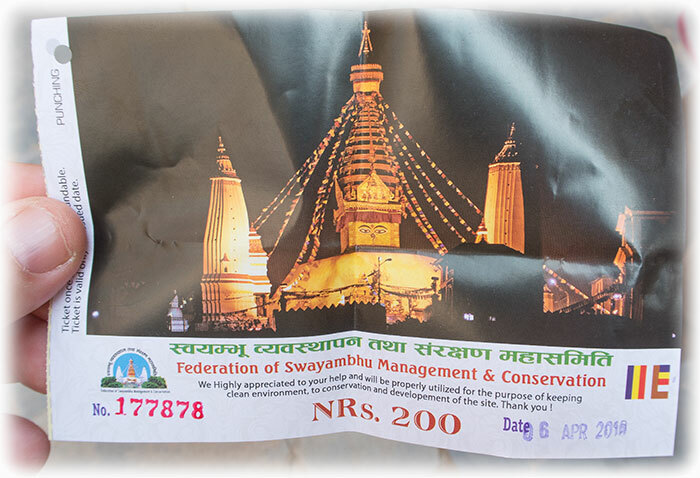 I have only seen it one time, a couple of days ago when we drove to Lumbini. We passed a man, dressed in orange, and he was most likely on the way to Lumbini. He was progressing by prostration on the road side, and my guess is that it will take him very long to reach Lumbini. And only God know where he had started. 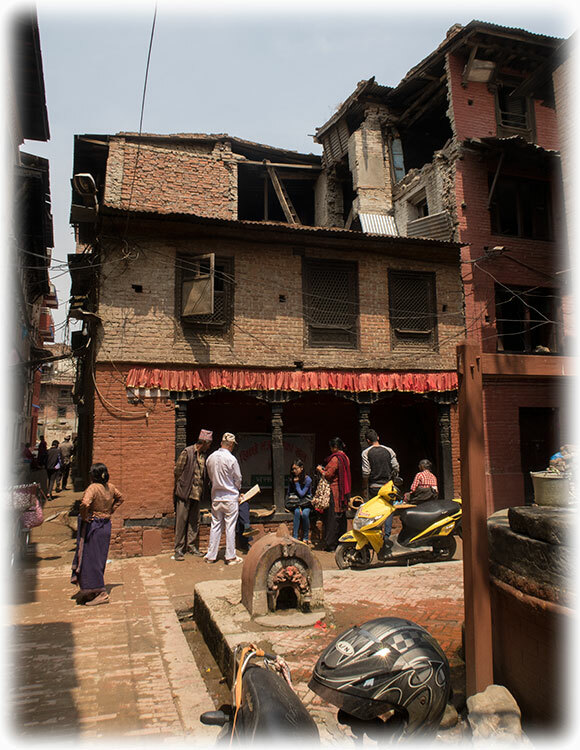 Anyway, the stupa was surrounded by nice looking houses and they were still in progress of building up the house destroyed by the earthquake. 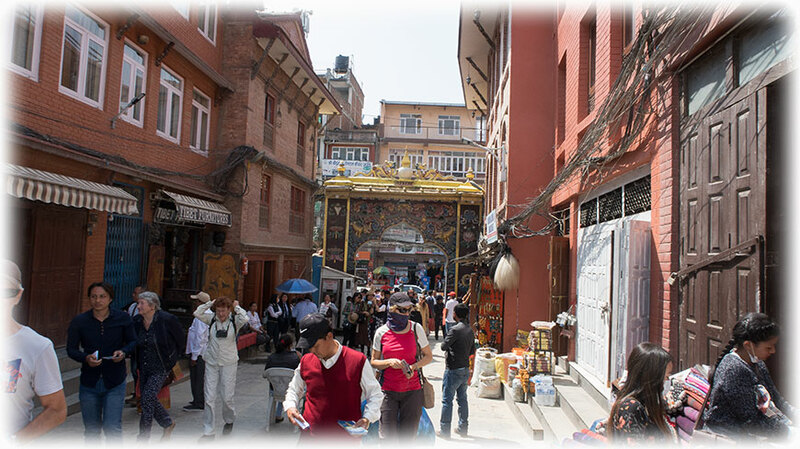 But it was exactly the same shops selling the same stuff as they do outside Hotel Yak and Yeti and at the Swayambhunath - the ”Monkey Temple”. I bought two singing bowls in Kathmandu 25 years ago, of course, I don't know where they are now. Every second shop was a “singing bowl” shop. I wanted two of them, one for me and one for my friend back in Bangkok. I checked a few shops and I found two bowls that I liked. There was a VISA sign. But the machine was not working. So it was cash only and I had exactly about ZERO money in cash. I few Scooby Dollars but not enough to pay for the singing bowls. So I told the guy that I would go to the ATM located at the gate. But I would complete my walk around the stupa first. I bought a few packs of the prayer flags that I will bring back to Bangkok. I was back at the gate and the Guide was waiting for me. I went to the ATM and I went back to pick up my singing bowls. I took this opportunity to buy some more prayer flags and back on the road I bought a bottle of water. 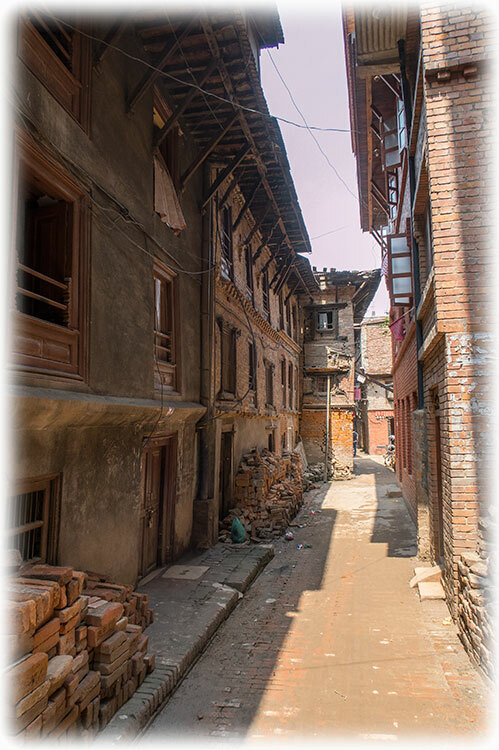 Back in the car and we took off towards Bhaktapur. 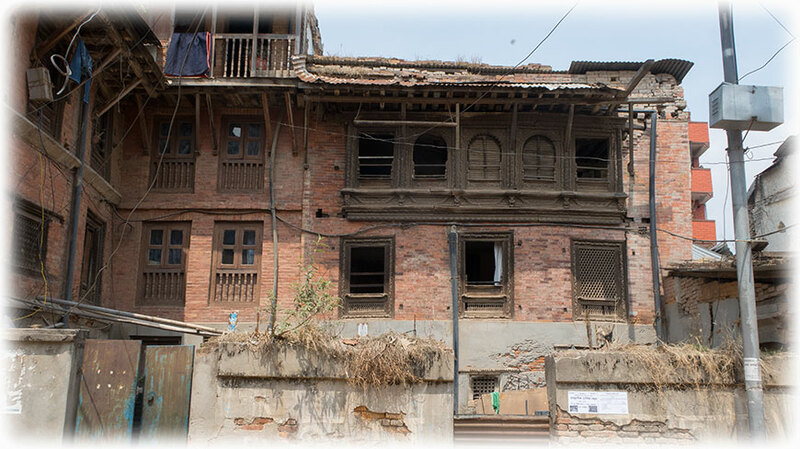 Bhaktapur is 14 km or so from “down town” Kathmandu. 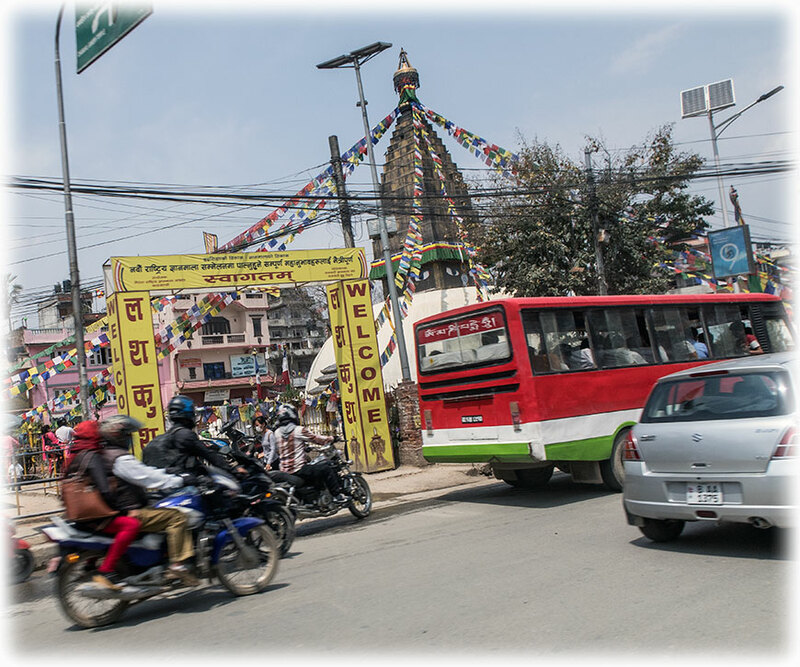 Heavy traffic so it took us some time to get through Kathmandu. But there isn't much of country side between the cities. 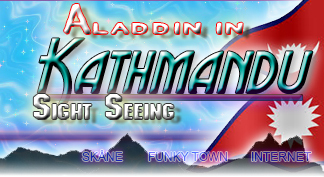 I learned that there are 3 cities in the Kathmandu Valley. It is like one bif city. 3 kingdoms as, I think it was back in the 1700's when the king had 3 sons and all of them wanted to be kings. So they built 3 cities. Or something like that. Well, you get the picture, a few years plus or minus, never mind. 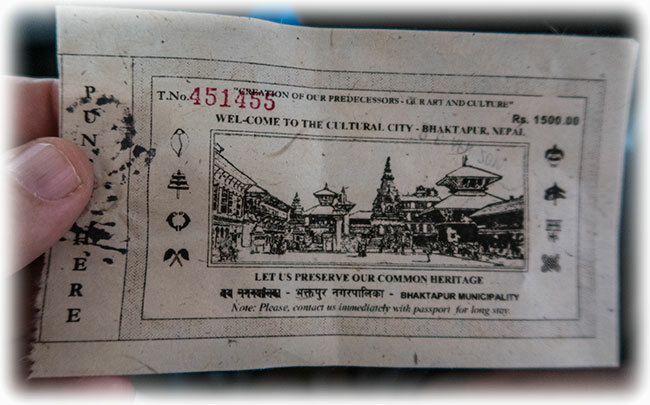 We reach Bhaktapur and as no surprise we have to buy a ticket to enter the city. 1500 Scobby Doo dollars for me, and 500 for people from the SAARC countries. Bangladesh, Bhutan, India, Maldives, Nepal, Pakistan, and Sri Lanka. And Chinese tourist also had to pay 500 only. We get out of the car and we start to walk through the city that looks like a giant construction site. 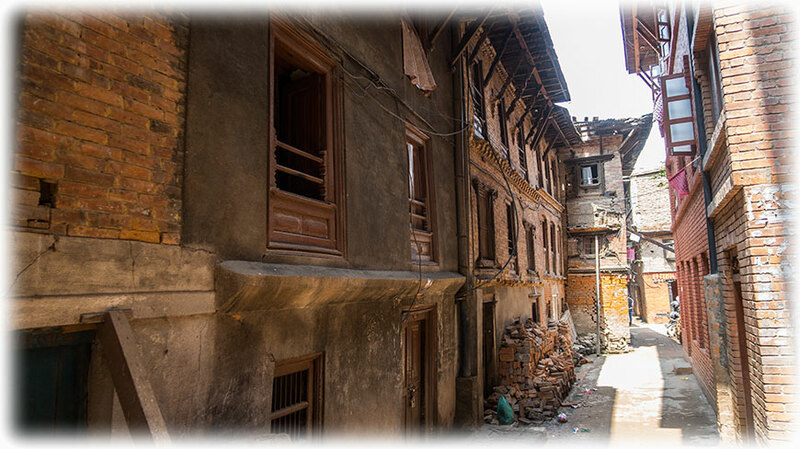 Bhaktapur was hit hard by the earthquake and it looked like they were rebuilding the whole city. And they built it in the same style as before and it looked very good. Of course, the city is like a tourist town, restaurants and exactly the same souvenir shops as we had seen at all the other places. Pretty boring, but it was a beautiful town, but with the feeling of beeing for tourists only. But it was nice to walk around, and the city centre and the famous squares was beautiful even though they were rebuilding many of the houses. 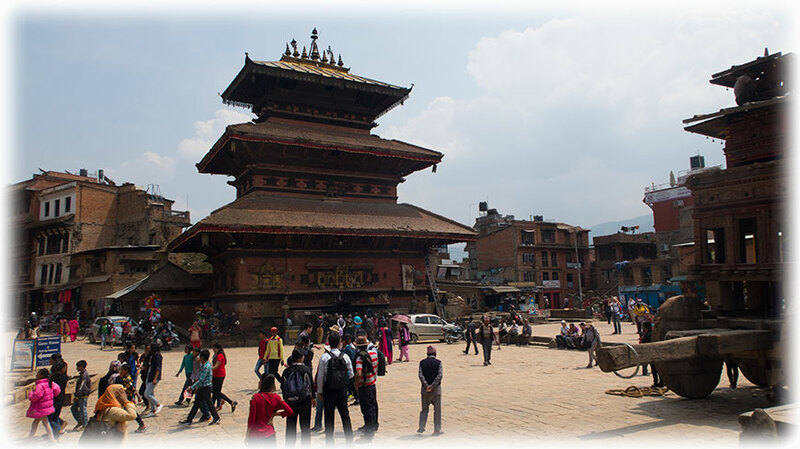 We reach the Taumadhi Square and we're supposed to have lunch at one of the restaurants. But it was crowded so I told my Guide that we will have our lunch elsewhere. I cannot understand people enjoying a meal in a crammed restaurant. My Guide was waiting outside the restaurant while I took 5 minutes to go check out Taumadhi Square. Taumadhi Square is a nice area, and yes, of course, only the souvenir shops and restaurants. I look around for a Ganesh but I never found anything interesting. So I walk back to the restaurant to meet my guide again. I was getting hungry and we went to look for a restaurant. 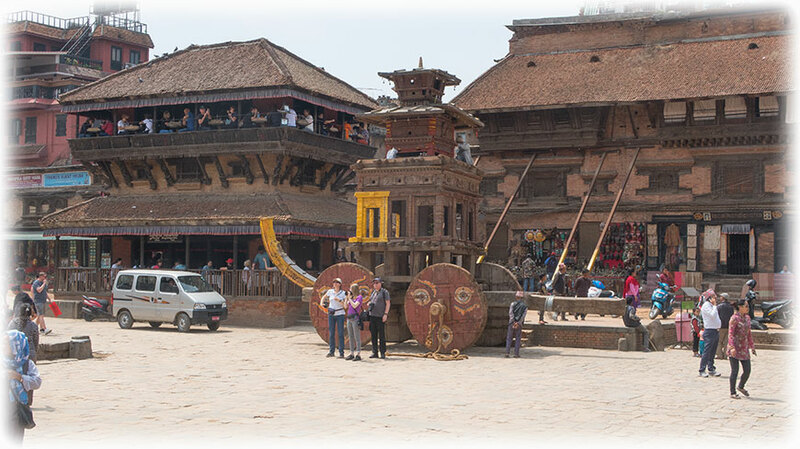 Next stop is Bhaktapur Durbar Square, and we will look for a restaurant walking there. 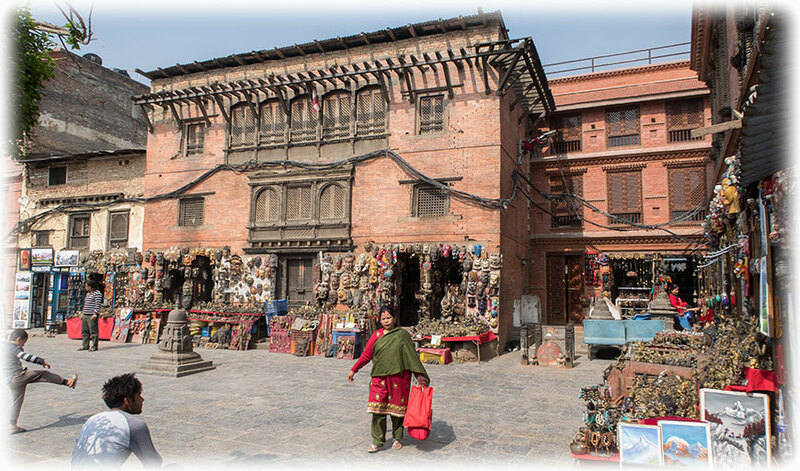 It just took us a few minutes to walk to Bhaktapur Durbar Square from Taumadhi Square. Didn't pass any interesting restaurant on the way. 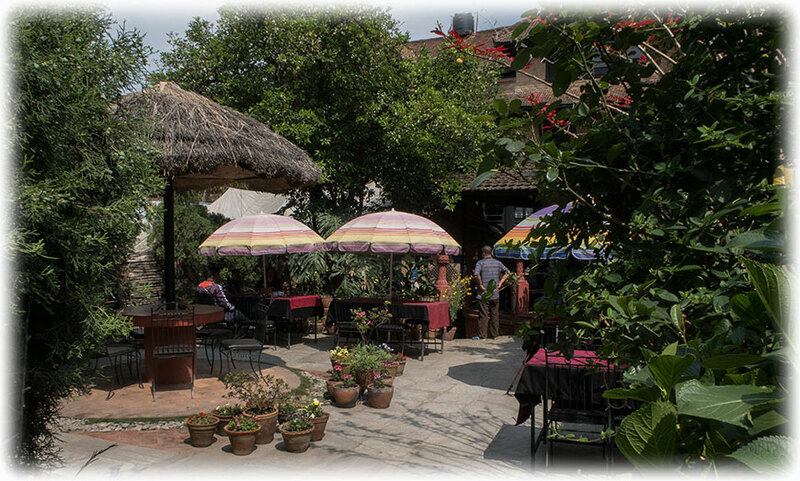 But there were 2 restaurants on the square, one garden restaurant and we found it to be almost empty so we took a table. 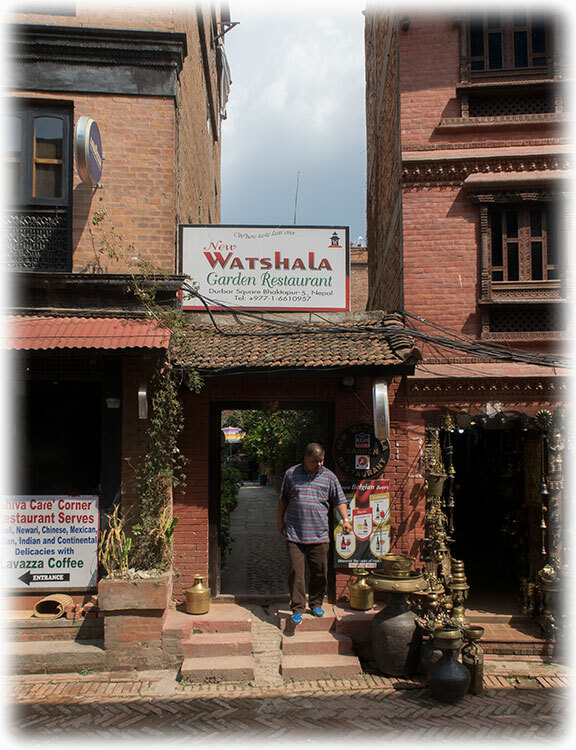 Watshala Garden Restaurant, and darn, it took about one hour for us to get the food. One of the smallest lasagne I have ever seen. The tea was cold long before the food came on the table. The lasagne disappeared like an aspirin. 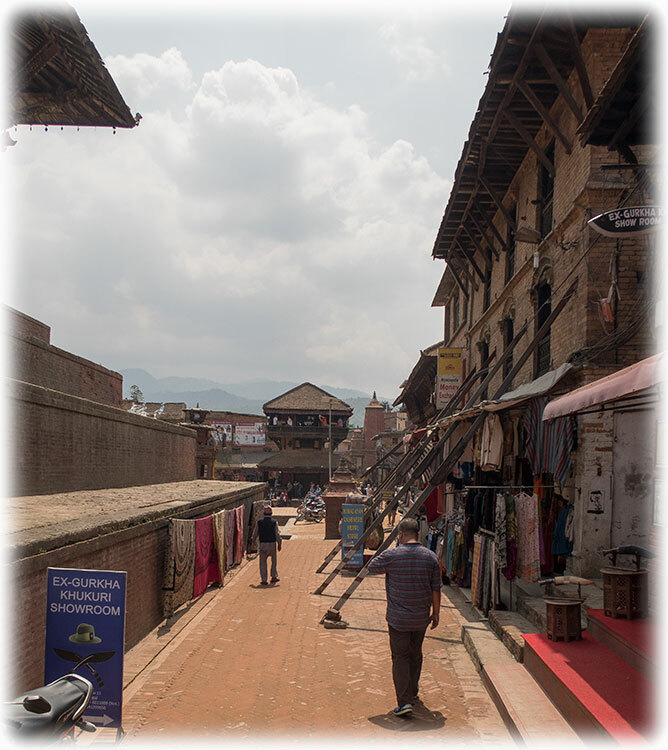 We left the restaurant walking across the Bhaktapur Durbar Square. Leaving though a gate. We ended up on a small square with, yes, souvenir shops. I bought some Kiwi juice and we left walking down some stairs towards the parking lot where the car was waiting. Coming down the stairs to the Indrayani Temple, a small temple with a big tree growing in the middle of the small temple. 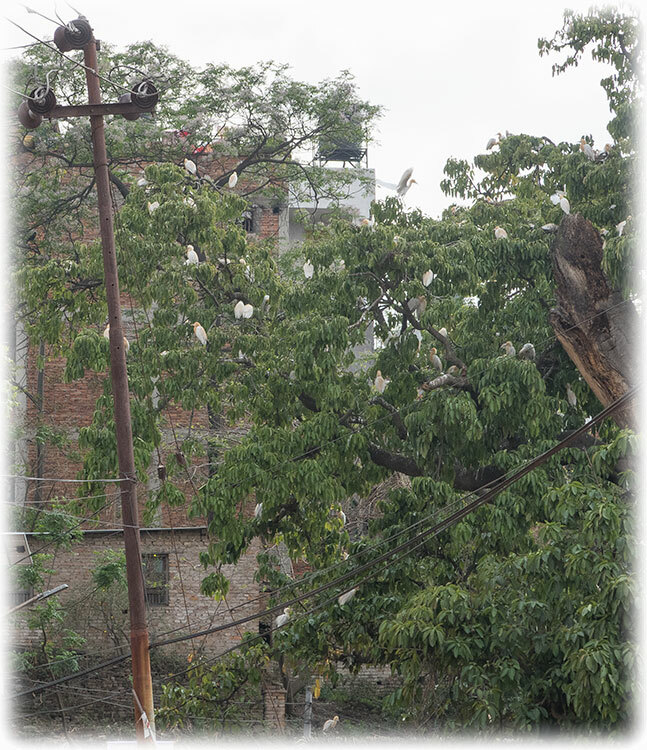 And the tree was full of Cattle Egrets building nests. And I stopped to have a look at the Egrets. Beautiful Cattle Egrets in breeding plumage and the normally yellow bill is now beautiful in the beautiful breeding colours. I only had my pocket camera with me so the pictures left a lot to wish for, but I decided to come back here tomorrow to try to get some good pictures. 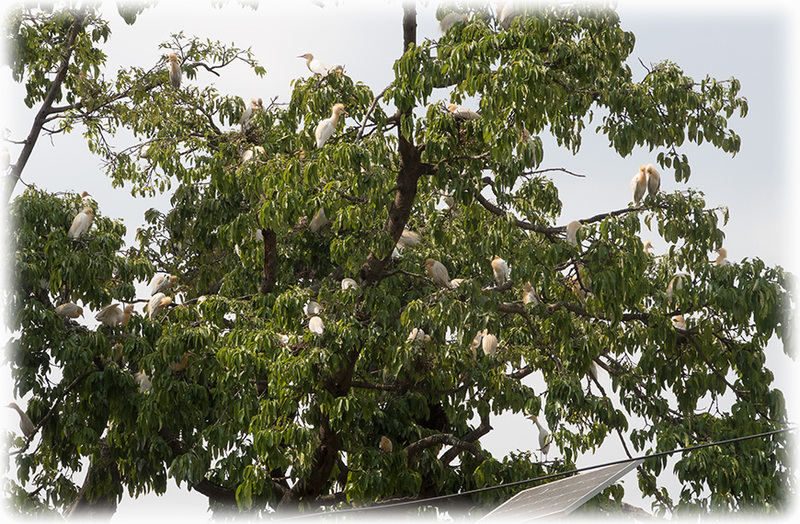 It was an amazing place, the Egrets was busy building nests and the birds flying in and out of the tree. 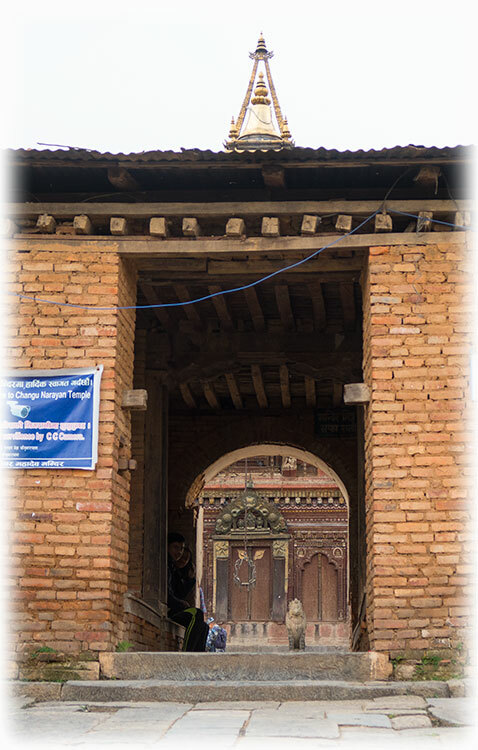 We walked to the car and we were son on our way to our last stop, Changu Narayan - The temple of Changu Narayan, built on a hilltop some 12 km east of Kathmandu dates back to the 4th century. 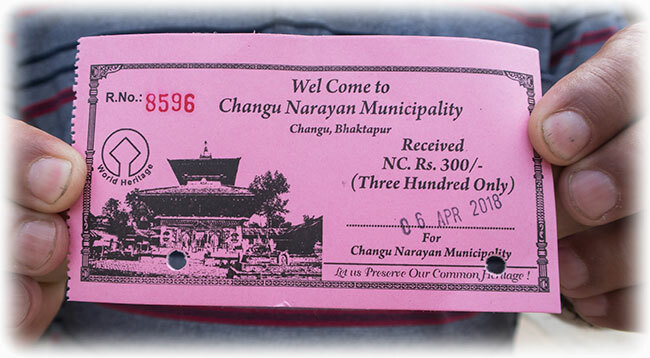 Took us 20 minutes or so the reach the temple of Changu Narayan. 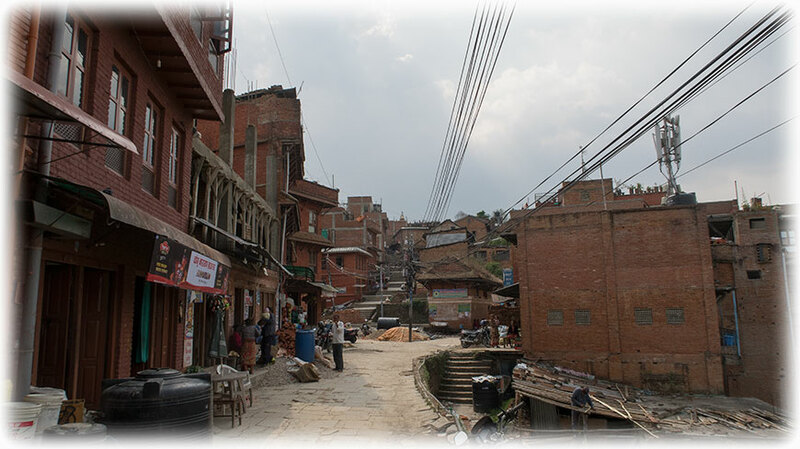 We parked the car and we had to walk through a village to reach the Changu Narayan. 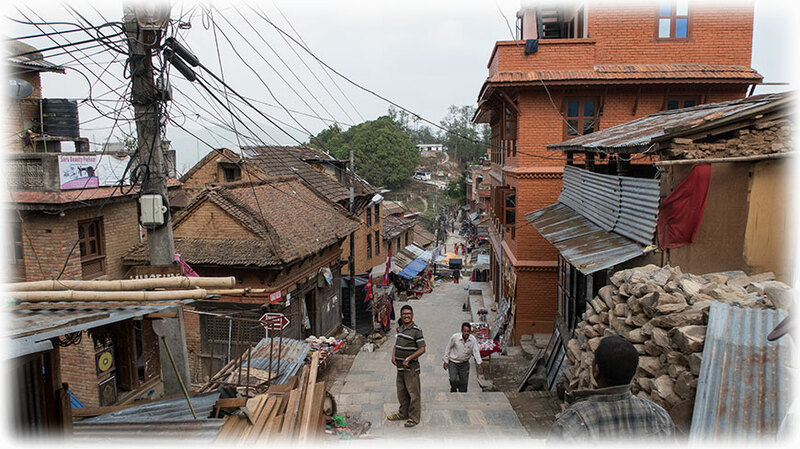 And as the temple was on the hill top we had to walk on a stairway through the village. And yes, same souvenir shops as on all the other places we had been to. I was looking for a Ganesh to have on my door and I found one that I will put on my door when I'm back home. We reached the temple, and well, we spent a few minutes there. There was a big temple and there was a small temple. The small temple was a Ganesh temple. 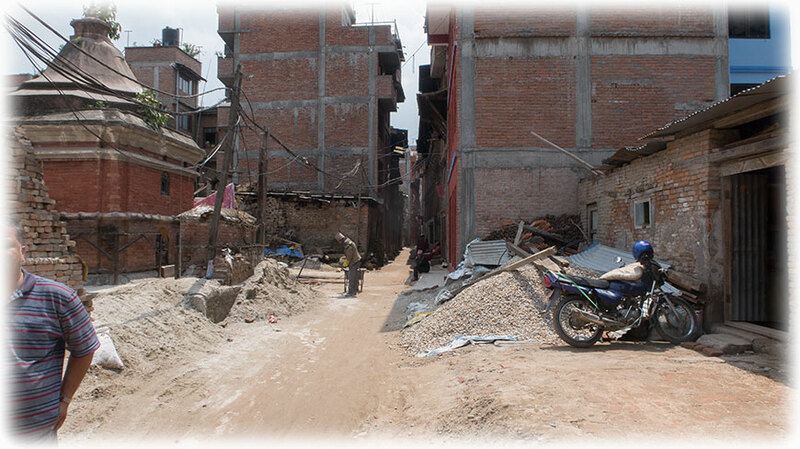 We walked back to the car and we were soon on our way back to Hotel Yak and Yeti in Kathmandu. Dinner and sleep, wake-up call at 4 o'clock and off for bird watching at 7 o'clock. I had got a hot tip and I will go to Gokarna Forest Resort. The driver will come to pick me up at 7, earlier would have been better, but I need breakfast. The restaurant don't open until 6 thirty. Anyway, click HERE to find out if I find any exciting birds.